Material and Technique: Oil on canvas. Size: 69 x 43 cm. 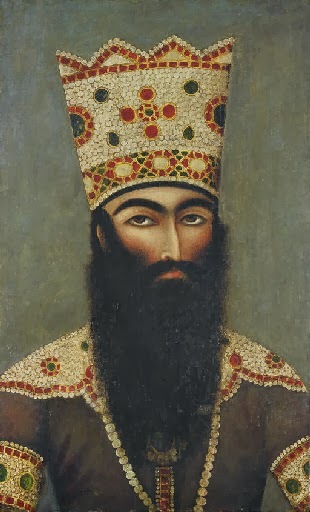 This painting is a bust portrait of a son of Fath Ali Shah, wearing a high Qajar crown and elaborately jeweled collar on his sleeves, with pendant just visible through the his long black beard.